The board exams are coming near for the school year 2019. The board exams for grade 10 and 12 will be taken until the month of April, and the results will be out by May. A lot of students have a hard time when it comes to math and others say it is one of the most difficult subjects in the curriculum. But if you take time and study well you can get good grades. While you are on the search on how to get good marks in your math paper, AIR is here to give you some tips that can help you prepare for your math exam and can also help you get good grades. Do not try to rote-learn the formulae, but instead try to see how they were derived. Try to identify the rules when you use one formula. 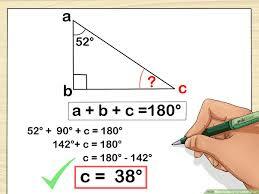 A great example for this is that you cannot use the Pythagoras Equation to triangles that do not have the right angle. Solve different problems that use the same formula and understand how the board is twisting its questions and are trying to trick you. Make a table ahead that consist of all the important values, from the value of the pi, square, and square roots. This will save you time when you are solving complex questions that take a lot of time. Rather than just using your school’s papers try to solve mock tests and question papers of the last year’s exams, this will surely enhance your capabilities during your math exam. Make sure that you set a timer when you are answering the mock test so you will know how it feels like to be in a real exam. This type of test will allow you to answer your questions like you are in an exam and it will also allow you to come up with a strategy that you can use during your exam.